Become part of the Rabmer team! Success is measured not only in numbers, but also in the long-standing affiliation of our employees. That’s why we rely on a strong team culture, flexible working hours, attractive training opportunities and targeted support. We are a strong team – and we have a lot in common! We look forward to receiving your application. The Rabmer Group has stood for quality and top performance for more than 55 years. We primarily owe this high level to our highly trained and experienced employees. We are proud of the excellent working atmosphere, the low staff fluctuation and the many years of service. 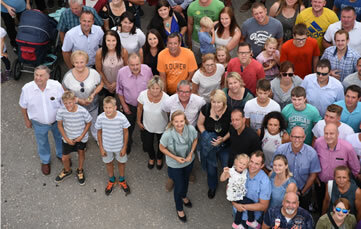 Many of our employees have been working with us for more than 10, 20, 30 or 40 years – some of them even have their children or grandchildren with us. Stay flexible – with work and family! In addition to secure jobs, we also offer the best conditions for reconciling work and family life. That’s why we have flexible working time models, part-time work and home workplaces. If there is no care at all, the children can also be taken to work. Highly trained professionals are our most important asset. That is why we attach particular importance to apprenticeship training and ongoing training of our employees. 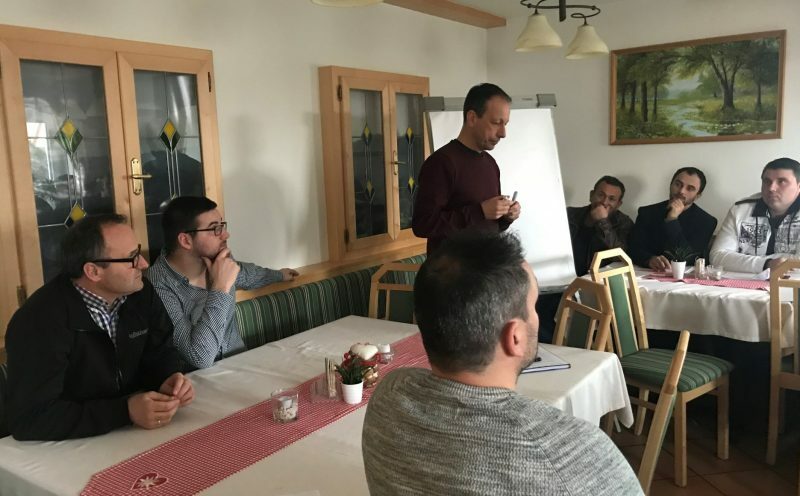 This is how we encourage and support our employees to take advantage of ongoing training and further education. Here we also bear the course costs. A healthy work environment and occupational safety are of special concern to us. Of course, we also encourage our older employees. 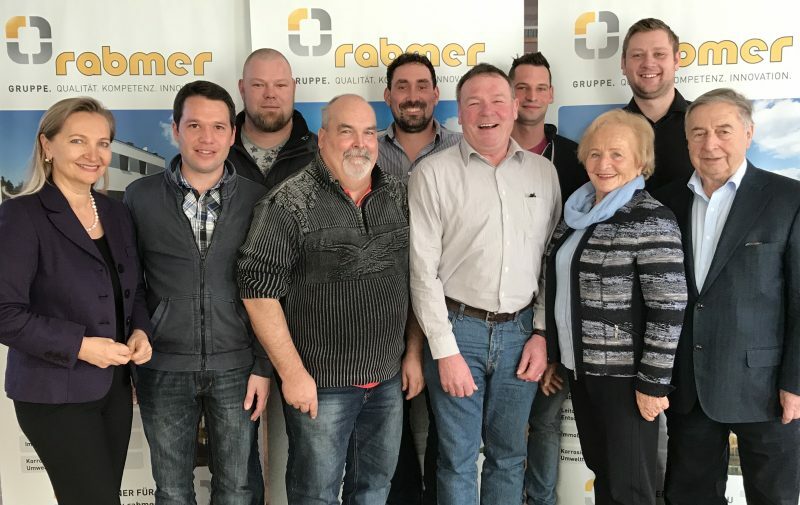 Rabmer Group is a 2nd generation family business located in Upper Austria – founded in 1963 by Josef & Maria Rabmer and managed since 2002 by their daughter Ulrike Rabmer-Koller. We look back on a long history, stand on a solid foundation and continue to develop consistently. We combine tradition with ongoing innovation, regional roots with international success. Our areas of activity include: Environmental Technology, Civil Engineering, Old Building Renovation, Timber & Carpentry, Painting & Floor Coatings, Real Estate, Earth Movements & Transportation, and Municipal Services.